Three Smooth Stones: Am I Making Ministry too Complex? So, here’s how I would respond. Yes, yes, I’m a smarty pants and you should be jealous of my hair. And yes, it’s possible to be highly competent in ministry and not know any of these things. And this is certainly not the whole enchilada when it comes to ministry. It’s important to have a rich God-directed life and to have good theology, for instance. And it certainly helps to have great public skills. But these “smooth stones” I have offered are patterns of work or engagement that make all that other stuff more effective, in my opinion. And I would say that many highly effective ministers do these things without knowing what to call them. I think that was the case with me. I had instincts, many of them informed by my theology, that were later sharpened when I had something to call them. I doubt that you could show me a highly effective minister who doesn’t do a great job of narration and of ritualizing the narratives that hold the congregation together. I would also add that life, much less ministry, is complex. Ministry can seldom be reduced to one-size-fits-all formulas. What “works” one place often fails miserably someplace else. What “worked” five years, or even five months earlier fails to produce the same yield today, or vice versa. This is because very few things can be attributed to direct cause and effect logic. There are innumerable causes for every outcome and the congregation and the world in which it is located is changing and moving all the time. In an environment like this, it helps to have as many interpretative practices as possible. All three of the practices I have offered are interpretative. And I want to underscore this point. If in ministry, the minister is the primary actor or initiator, then its not that important to interpret situations. What’s required in a situation like this is to give a publicly gifted senior minister as much authority as possible and serve his vision (male pronoun intended). But if its God’s leadership you’re tracking, then you need practices of interpretation, or discernment. It’s a dangerous thing to simply assume that the minister’s vision and God’s are one and the same. So, we need practices of leadership that create distance or space so that the movement of a living God can be pursued by the entire congregation. These are two fundamentally different ways of thinking about ministry, and I’m committed to the latter. Along these lines, I’ll also grant that it’s possible to have a vibrant, growing congregation having as its primary strategy collapsing polarities. I was at a conference a few weeks ago where the presenter, a pastor of a mega-church in California, confessed that they grew by deciding what population group (youngish, artistic, college educated types) they were going after, realizing that this meant that some people who don’t fit this demographic would simply not find a place to belong at their congregation. No managing polarities here. My question here is what kind of church is a sign and foretaste of the Kingdom of God, one that thrives in the midst of diversity, or one that grows as a largely homogenous group? For my money, spiritual power is not necessarily required for a homogenous group to get bigger. But it takes real spiritual power for diverse populations to learn to live together. The point I’m trying to make is that these are ways of thinking about ministry given certain theological commitments. These practices allow me to live more fully into these commitments. Finally, while these might be more sophisticated approaches that take the complexity of congregational life as a given, they actually make ministry easier. I work this way, because this way works. I’ve seen the difference in effectiveness in my own ministry when I moved into these rhythms. I guess this is my way of saying I’m not an ivory tower academic. To use the language of Jackson Carroll, I’m a reflective practitioner, or as Luke Johnson calls it, a practicing theologian. This entry was posted in Uncategorized and tagged hermeneutics, managing polarities, ministry, missional leadership, theology. Bookmark the permalink. 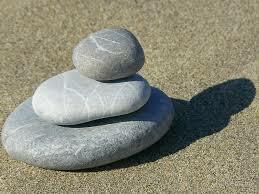 3 Responses to Three Smooth Stones: Am I Making Ministry too Complex? BTW, I gave ‘Pat’ a ride across campus at Pepperdine one evening during the lecutres of ’08. I think I still owe him a delayed answer to his question about the ‘doeltreffendheid’ of your co-presentation that day. Thanks, Paul. The Brazles have enriched my life in many ways. Thanks for enduring the car ride with Pat. Mark, this makes me think of the church as a “flexible laboratory” where we learn to love in ever changing ways in order to best serve one another – “Let us ‘consider how’ to stimulate one another unto love and good deeds.” His fullness to you!